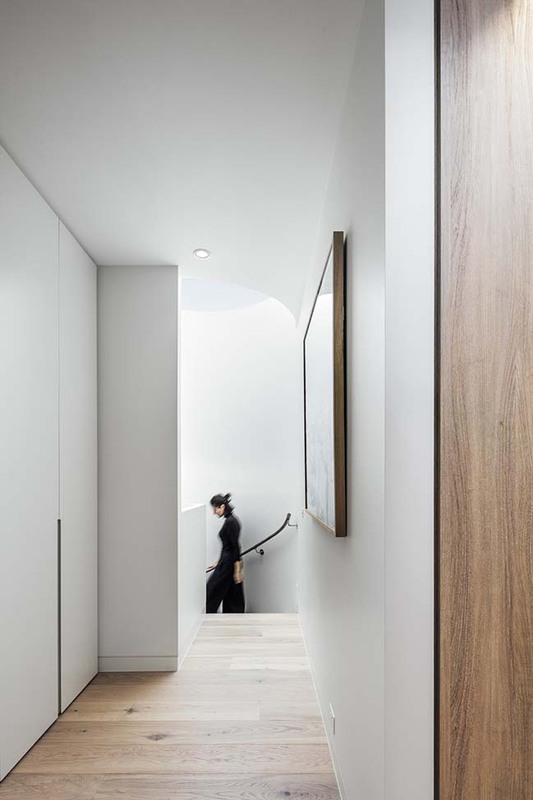 What sits now as a beautiful and calm retreat over the rooftops of Armadale - lovingly dubbed 'the Eagle's Nest' by the client - is in fact the result of an adventurous and complicated journey to add a penthouse upon a design intervention done by PP back in 2006 to a quirky old double storey warehouse. 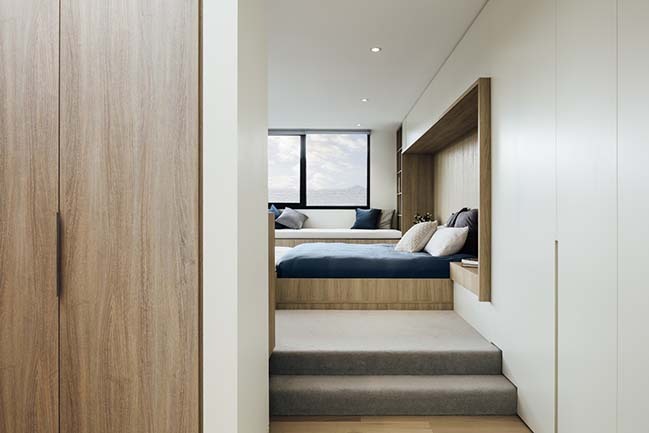 From the architect: The client came back a few years on and wanted to add a hide-out for the parents on top and give the kids more space dedicating them the whole mid-level. 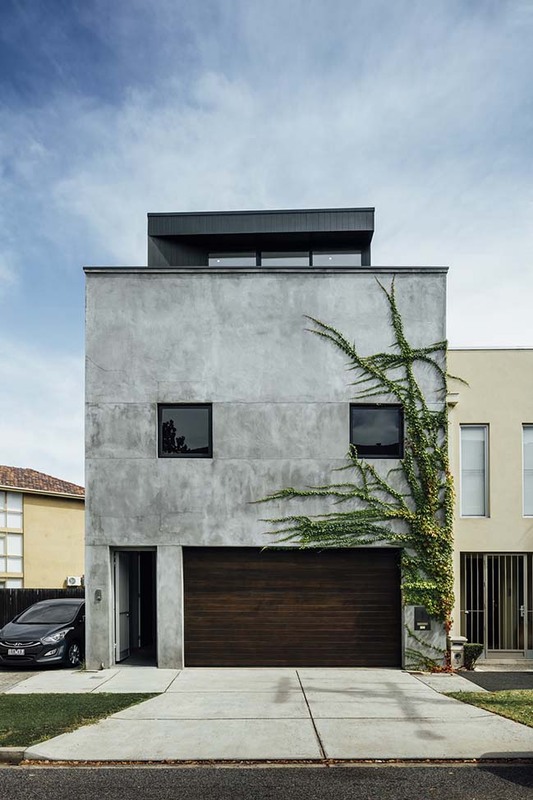 After battling for council approval and finally finding a builder who was up for the challenge, the extension was added and it was all worth the effort. 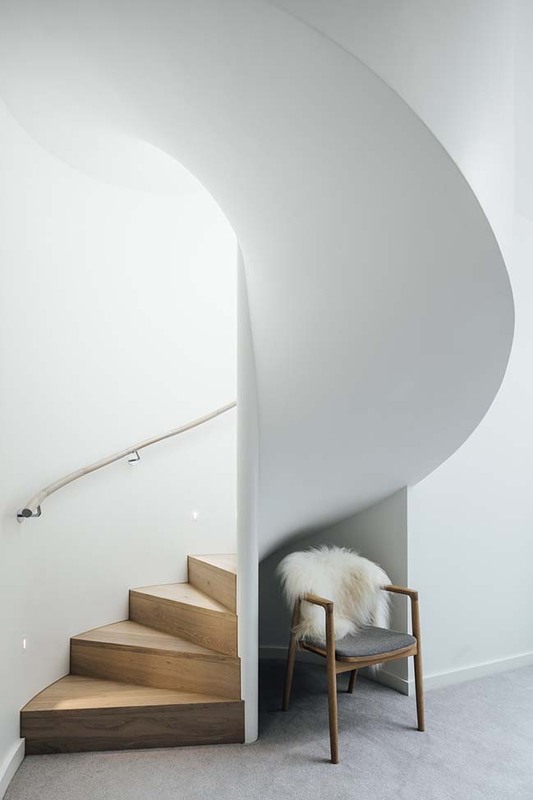 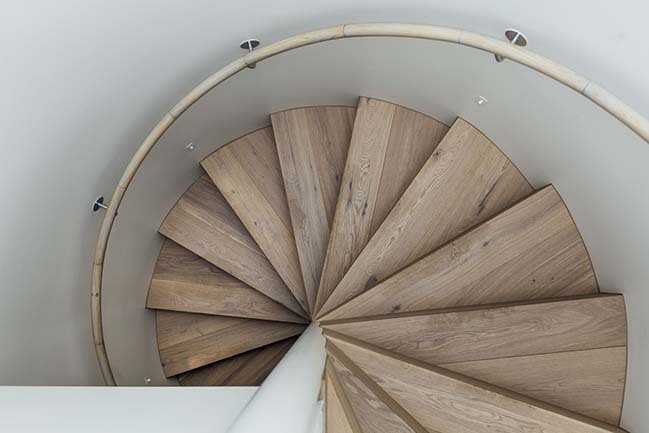 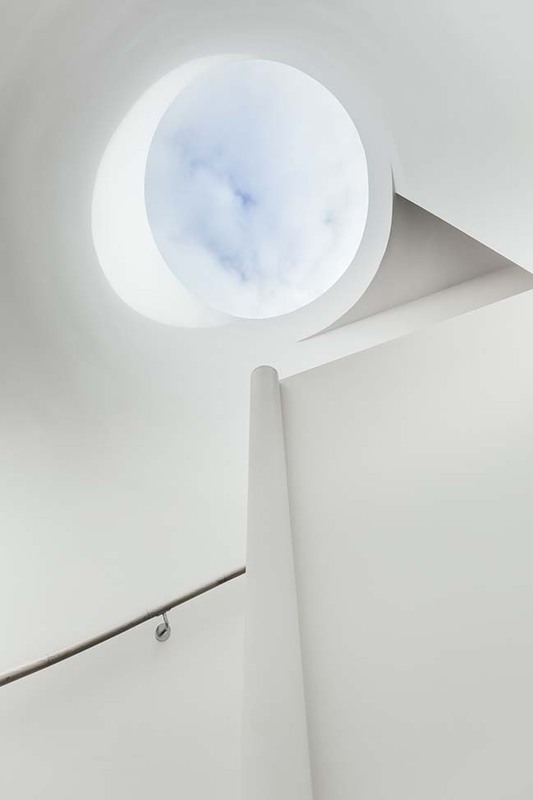 A sculptural spiral staircase with a spectacular circular skylight leads into what feels like a detached world of light and views. 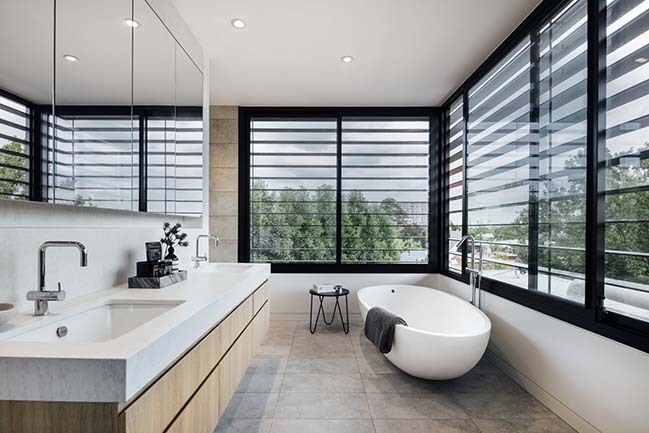 Glimpses of roof tops, trees and the city are present from every room, whilst maintaining a sense of privacy. 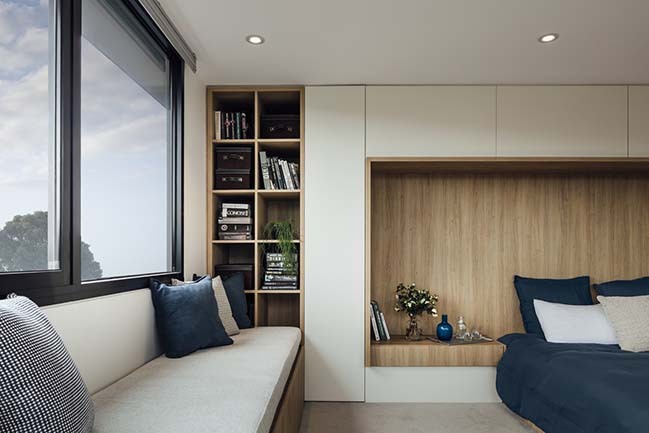 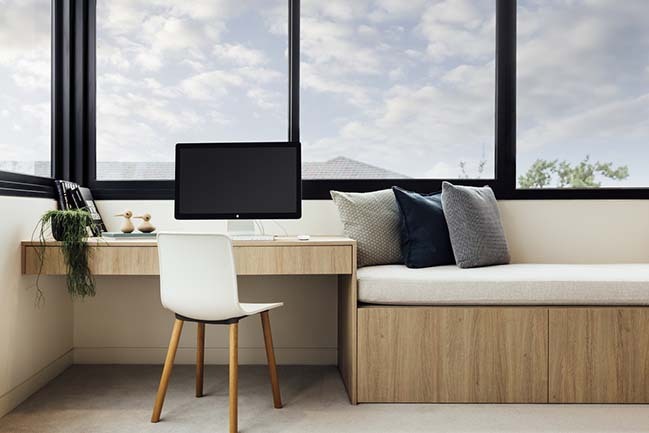 A simple palette of timber, natural stone and soft whites and greys creates a warm and relaxed environment to the penthouse addition and cleverly designed and beautifully crafted joinery accommodates all the intended uses (reading, sleeping, working) whilst creating an abundance of storage space and hiding services. 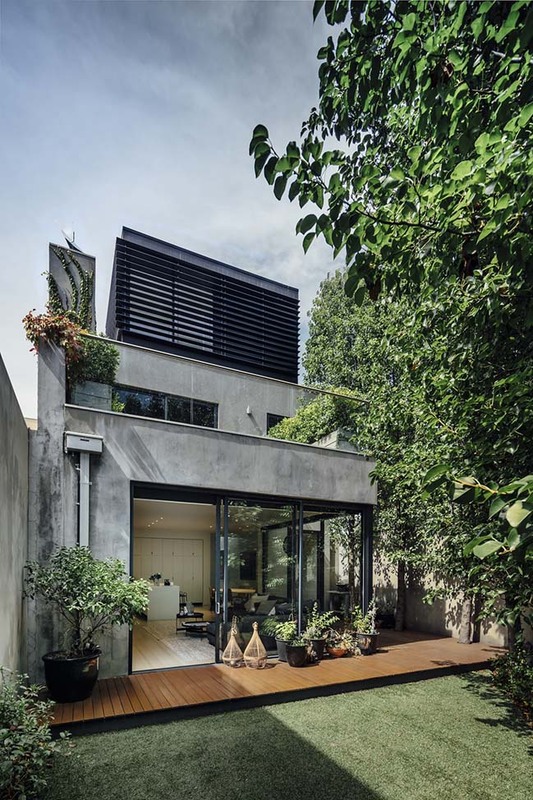 Externally the sharp and pristine black penthouse addition, intentionally clad in stark contrast to its rough cousin, sits atop the existing cement rendered warehouse building. 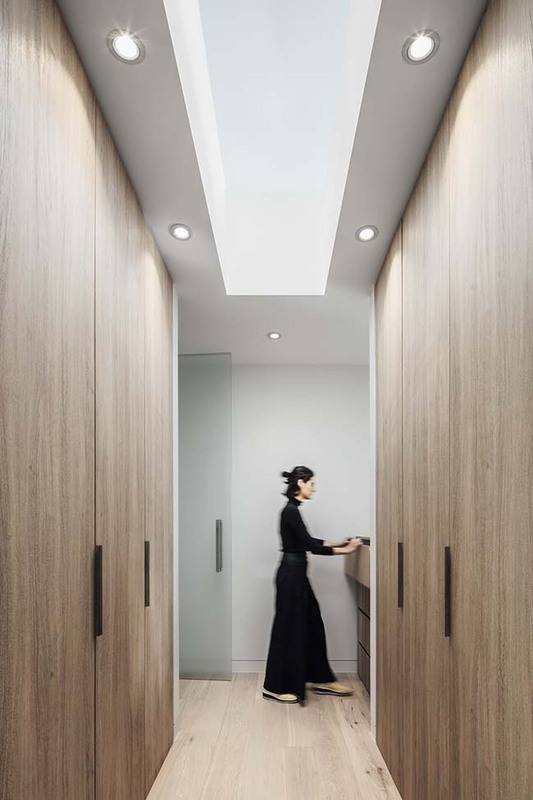 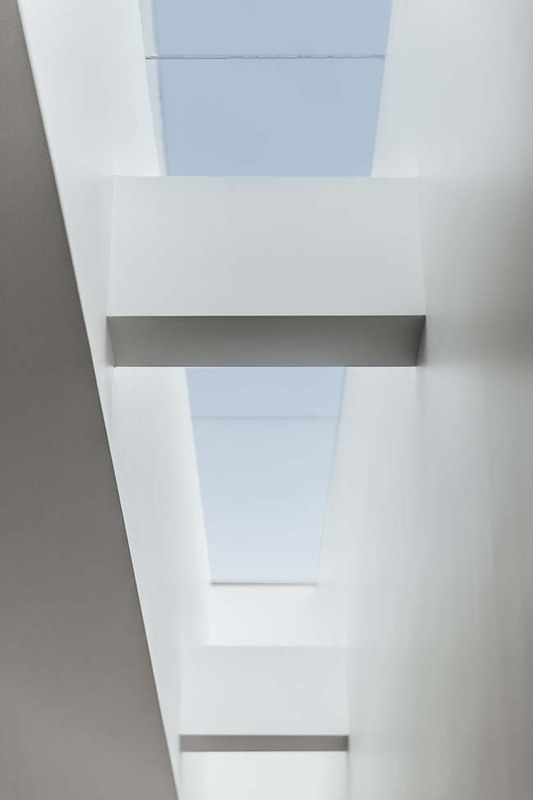 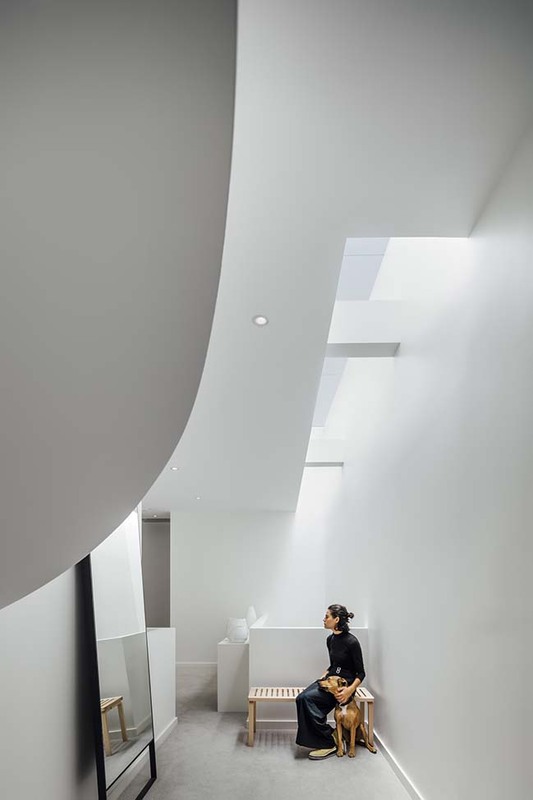 Internally it was crucial to preserve the ‘old’ renovation’s gallery feel, so existing slot skylights and double height voids were maintained and additional structure sensitively inserted. 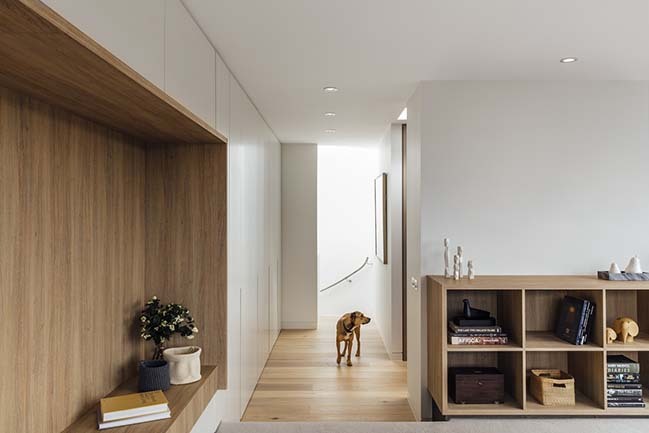 Only a fresh lick of paint and a lighter varnish to the timber floorboards brought the ‘old part’ from more than 12 years ago up to standard with the new (thanks to our signature approach to keep interiors simple and timeless).